French farmers are committing suicide on an almost daily basis, largely due to financial pressures arising from a crisis in agriculture. The problem is not just a French one; all over the European Union farmers are struggling to survive amid falling prices for products such as milk and pork. We were in Brussels demonstrating, side by side with the Germans who were also saying they were dying like us. They were also calling for regulating the market. But the politicians don't listen. 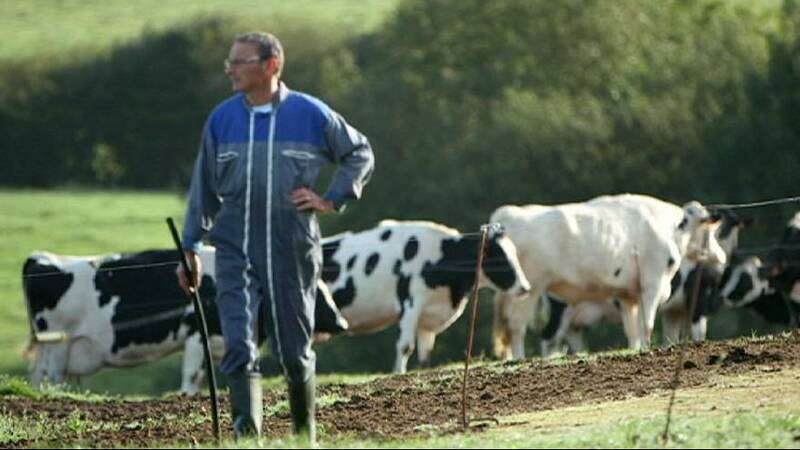 While global economic conditions are a factor, dairy farmers in the EU have been hit particularly hard because of a decision to end milk quotas. A sector that was for decades fixed and regulated by Brussels has been opened to the vagaries of internal and external market forces. In this edition of Reporter Valerie Zabriskie hears from several members of the smaller farms community about the problems caused by their diminishing incomes and mounting debts. Some are calling for the European Commission to reintroduce regulation of their sector, without which, they say, farming in Europe faces a bleak future. Clip in the video to see the report.